For a rapidly advancing business like BluJay Solutions, obtaining and maintaining customers is the key to its growth and success as a supply chain software company. 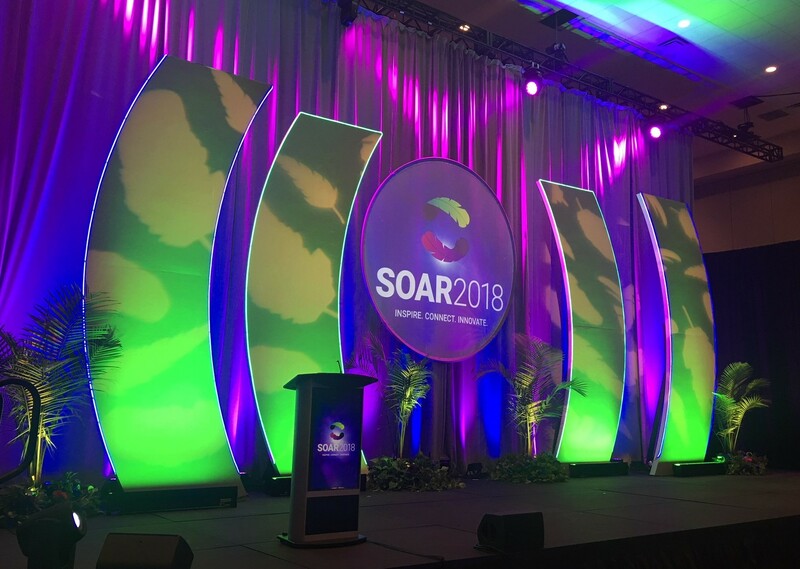 To celebrate the performance of their top companies and partners, BluJay prepared to host their second annual SOAR 2018 Customer Conference in Orlando, Florida, home of Cybis Communications. Brian Toy, BluJay’s Director of Corporate Marketing, had worked with Cybis just three years before on a very successful corporate conference at another company. After recently reconnecting, Brian informed us he was so happy with our work, he wanted Team Cybis for an upcoming BluJay production. With a new, exciting corporate event at hand, Cybis was prepared to support all of BluJay’s audio/visual needs from equipment to creative design and all the way up to total show management. 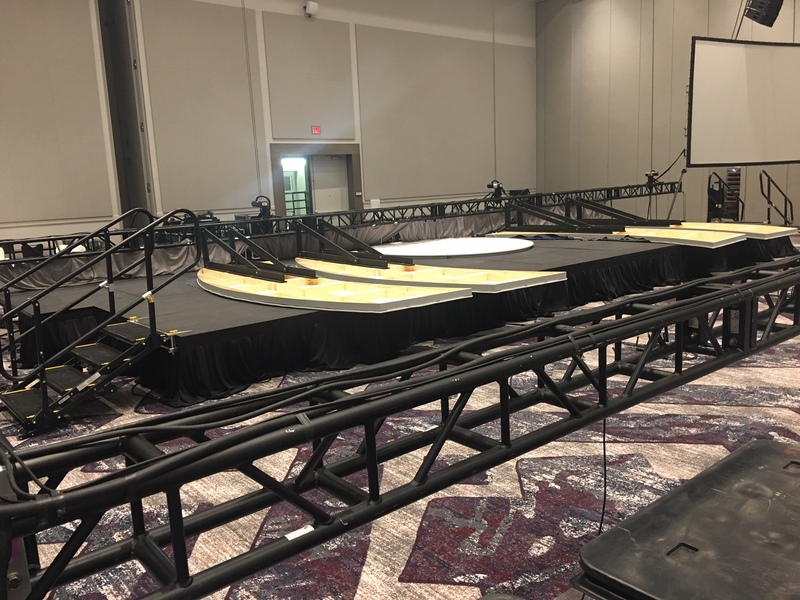 Cybis’ blend of scenic and technical professionals allowed the team to conduct effective pre-planning and have the most acute attention to every detail in production. Using Vectorworks, a 3D software tool, Cybis was able to plan, design, construct, and preview the fully built-out ballroom and stage before arriving to the venue. 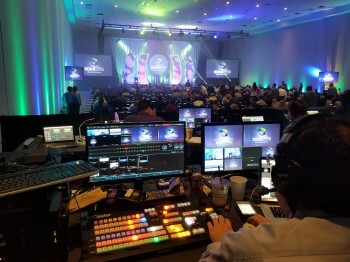 Equipped with a custom lighting package including moving lights, beam lights, and a RoadHog4 lighting console, our team created a truly unique atmosphere by illuminating the stage, room, and walls with all of the colors from the SOAR 2018 theme. 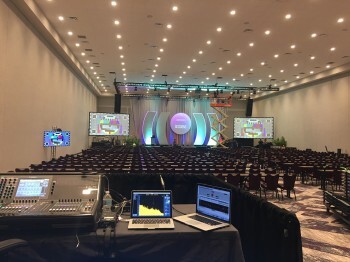 Knowing that winners were to be announced and important messages needed to be heard, Cybis’ provided the audio console, speakers, and wireless microphones that contributed to an engaging and successful audio experience. 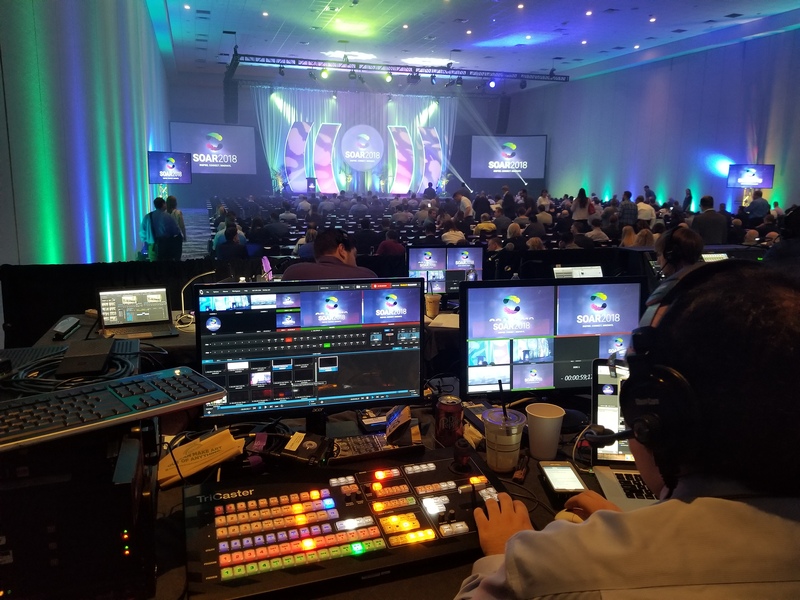 Last but not least, we brought BluJay to the big screen with 4K projectors, 75” LED monitors, and a completely custom show graphics package with high-definition animations and personalized introductions. 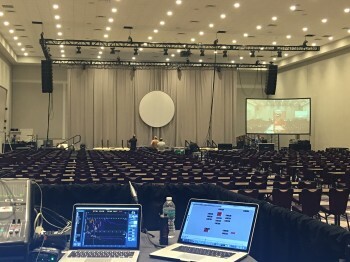 As setup began, the technical side of production was underway and preparation for the show commenced. Team Cybis understands that quality comes from rehearsals. 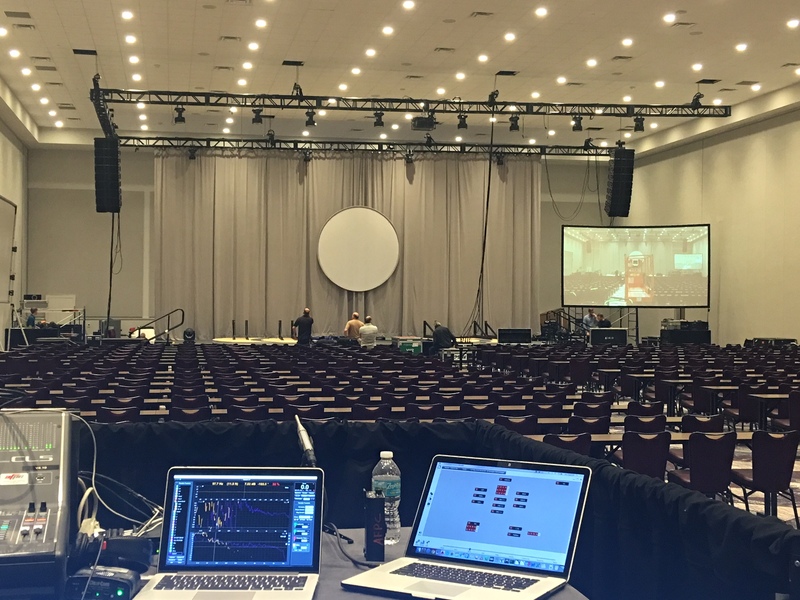 “Rehearsals, rehearsals, rehearsals” from lighting cues to speaking parts, from mic checks to graphics testing, from pre-show to outro. The solid technical execution Cybis is able to achieve is largely a result of this thorough preparedness. 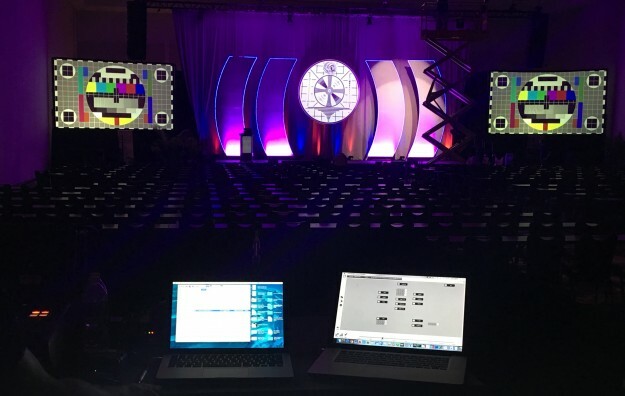 There is no facet of show production Cybis cannot support; and with this type of total show management, satisfaction from our clients is guaranteed. We’d like the same crew for next year. They were all awesome. Got compliments from the keynote speakers even that you all were some of the best production & stage crew they had ever worked with.